With 13 years of experience in commercials and feature films both live-action and animated, he's filled different roles from generalist to VFX artist. 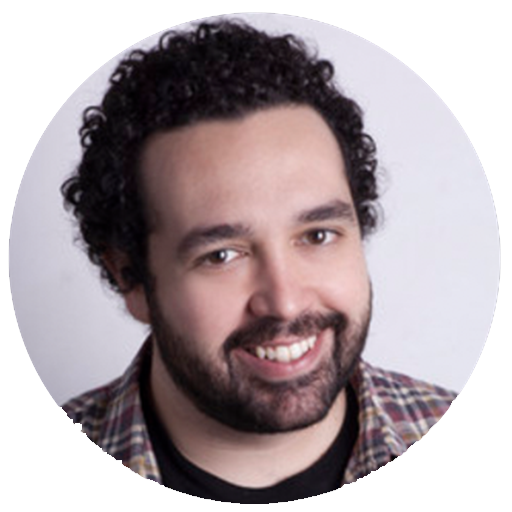 Fabio has ultimately specialized in look-dev, lighting, and shading and is currently working as a lighting and shading supervisor for O2 Filmes in Brazil. He's also the winner of RenderMan's first Art Challenge! How did you become a CG artist? 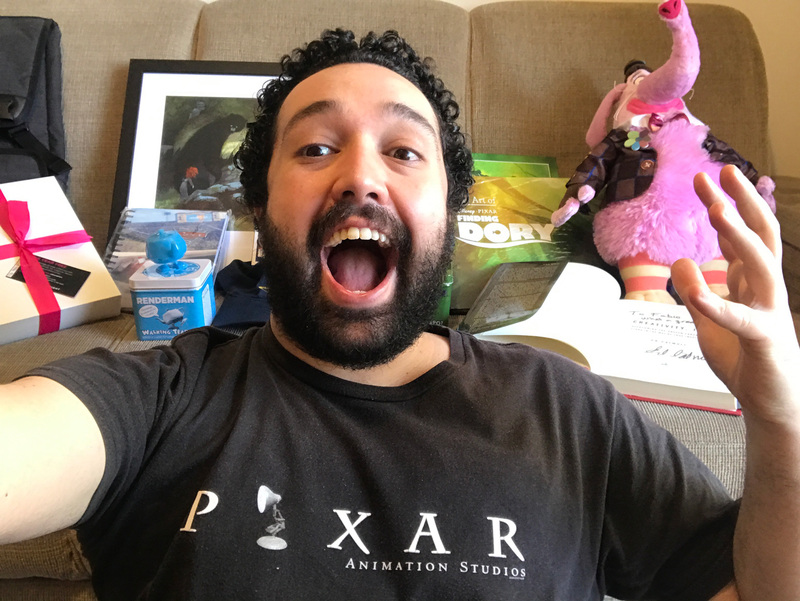 As a young boy I grew fascinated with animated movies, when the first Toy Story was released I was only eight years old and it really made me believe my toys were alive when I wasn't in the room. I didn't know what computer graphics were at that time, but it all felt so real, there was something very different about that animation. That feeling stuck with me for a long time. Four years later, in 1999 I came across a magazine that featured a demo CD of a 3D software called Bryce and decided to see what that was all about. I quickly felt in love with the concept of creating "realistic" images of my own. It was better than playing video games! So I spent every hour I could, trying to figure out how this software worked. The internet was a very different place at the time and little to no information was available, so it was an incredible effort of trial and error. I spent the next four years trying to learn as much as I can asking my parents for courses and art books (Gombrich's history of art, Caravaggio, Rembrandt and Norman Rockwell collections of work to name a few) instead of toys as birthday and Christmas presents, and I am still trying to learn new things and reference to traditional art every day. Naturally, I took every opportunity to create school projects in 3D and it quickly got the attention of a classmate who introduced me to her brother which owned a commercial animation company at that time. I got hired there as an intern the first semester after I graduated from high school and discovered that I could make a career out of my passion. I quickly became a generalist there, and there was a time when they hired a professional from a big studio to give a lecture about pipeline development and that's when I first learned about RenderMan and RAT (RenderMan Artist Tools). I was fascinated and tried my hand at every RenderMan book I could find, even without knowing that buying a license of RenderMan was an option at the time. That experience made me realize I wanted to focus my career on lighting and shading. RAT tools - Guess who's the last man standing! After working on a lot of projects and companies, in 2010 I decided to take a break from CG and travel to Los Angeles to learn film making and how to be an on-set director of photography. There is so much you can learn about lighting on a real set! I went on to work as a cinematographer in some projects until I finally got back to CG in 2013. That real life, hands on experience with lighting and framing made a huge impact on how I approach my virtual projects. Even more so as the software is every day closer to emulating real world conditions and phenomena. What artists, music, and movies inspire you? I have a real burning passion for art, from the great masters to the more contemporary! To name a few that inspire me in each category I can start with traditional artists like Michelangelo, Caravaggio, and Rembrandt. Monet, Bosch, Salvador Dali and Norman Rockwell. I also enjoy the movement of bringing street and pop art to the galleries from artists like Andy Warhol and Kaws. Mozart, Bach and Chopin are a great source of musical inspiration for me, I also love to listen to original movie sound tracks from composers like Michael Giacchino, John Williams, Phillip Glass, Vangelis, and Alan Silvestri. Oldschool video game music as well as Daft Punk and recently discovered race for space by public service broadcasting. 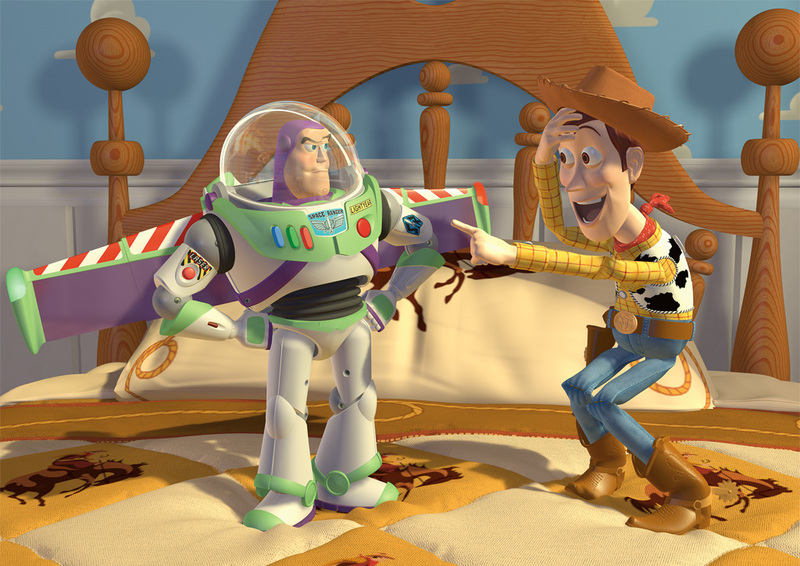 The movie that changed my life is Toy Story, it had a huge impact in my career choice! I also love Hitchcock's Rear Window, The Truman Show, Amelie, Star Wars and Blade Runner to name a few. I recently finished working as a lighter, look-dev artist and lead effects in a Brazilian animation movie called Lino at Start Anima, I am currently working on a Brazilian feature film called Federal Police as a Lead lighter and look developer at O2 Films and as a lighter in a short movie called Imaginary Friends Society at Roof Studio. As a personal project, I partnered up with modeler Alex Liki to bring some interesting characters to life. What did you think of the Challenge experience and RenderMan as a tool? The Kitchen Challenge experience was an incredible one because it was the first personal project I worked on, in a very very long time. It brought the same feeling as when I was a young boy discovering CG for the first time! The feeling of having to create a mood from art direction to final render using the same model as other participants and see how each approach the task in the forums day after day was amazing! So many incredible and very different results from the same input! Also having the opportunity to show others how I approach a project step by step and most importantly have the community feedback was invaluable. It was also the first time I got to use the new version of RenderMan (21) in a project. It is without any doubts the easiest version of RenderMan to work with! The uber shader PxrSurface approach with all the different lobes you'll ever need in one shader is an incredible advance and very fast to setup. The ability to on top of that layer many shaders together is really powerful. Also, coming from a cinematographer background the light setup in RenderMan is very intuitive with great features like barn doors, light blockers, rods, and filters. Tools I would use in a real set. Add to this the ability of using color temperature to determine light color and physical camera abilities like vignette, lens distortion and chromatic aberration and to be able to use display filters to fine-tune the LUT (Look Up Table) and color of your scene, including camera white balance directly on the frame buffer result made it incredibly easy to achieve the look I was going for. The composition was literally adding the fog pass and the master pass straight out of RenderMan together. Yes, I'm currently working on a detailed breakdown of the Art Challenge submission, so stay tuned! Do you have any advice to new artists about pursuing art? My advice would be to firstly and foremost focus on the part of the craft that doesn't change. Technology is always evolving and we got a new, more powerful version of the software almost every year. So that means we have to always be learning new technical stuff. But there is the more theoretical side of things like composition, framing, gestalt, light and color theory that evolve at a much slower pace. 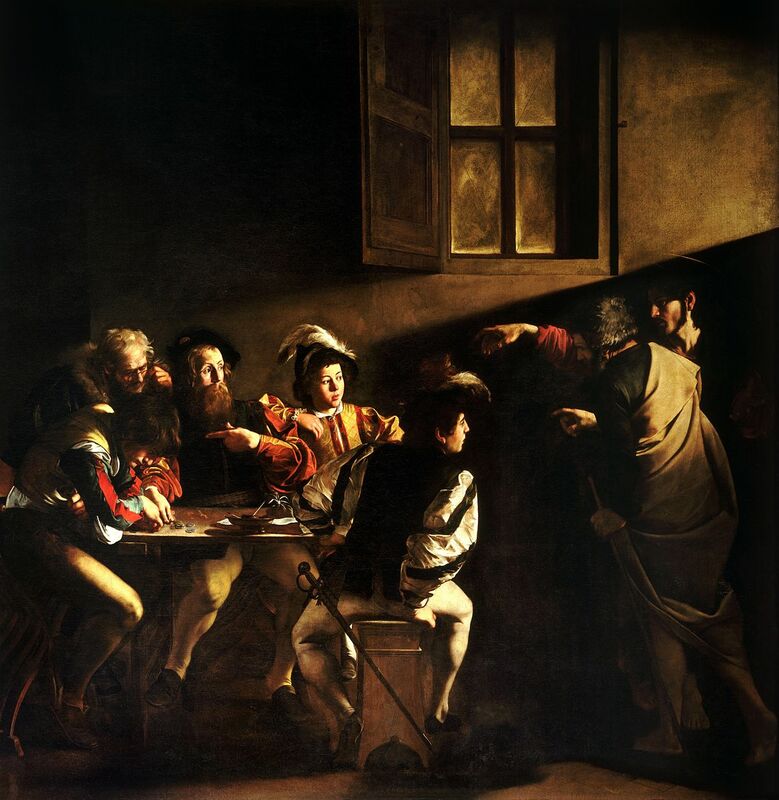 In fact, we refined the same cinema principles from almost a hundred years ago and in turn, we borrow some lighting principles from paintings from the renascence era. The core is there! Understanding the foundation of the craft will make your life much easier when translating to the new technologies and media. Also, there is an exercise I try to practice every time I can: questioning what you could've done better. Every time you see a piece of work you don't quite like, be it an image, a screenplay, a movie or even a music, don't dismiss it! Instead try as hard as you can to question yourself what would you do to fix it. What are the changes you could make to the piece that will convey its message much clearer? I believe there is no boring subject. This mentality and training have helped me a lot to overcome professional obstacles. I think this has gone long enough!... but, just as a final thought... I wish pizza planet was a real franchise!